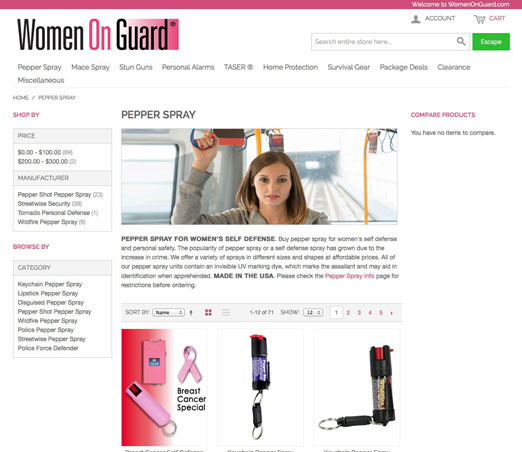 Women on Guard specializes providing self defense and home protection products for anyone who is looking for extra security. They are a strong supporter of many causes such as Breast Cancer Awareness and Domestic Awareness, regularly having promotions and sales during these times. 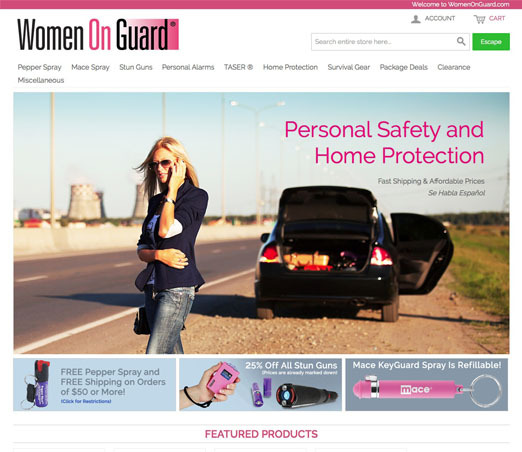 Women On Guard has had a long time success while being a client of Neoverve. With their recent migration over to the Magento platform, their store continues to grow in popularity with their unique variety of self defense products.